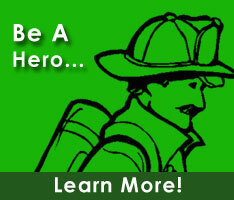 Ginni is currently a member of the Seaford Volunteer Fire Department. She holds the positons of Secretary within the Mutual Relief Association, and Asst. Treasurer within the Ladies Auxiliary Association - LADVFA. She also serves on the Life Safety, and Scholarship committees. Currently VP of Seaford Ladies Auxiliary, Trustee & Secretary of Mutual Relief Association. Past President and Past Vice President of the Seaford Ladies Auxiliary. Past Secretary of Sussex County Ladies Auxiliary. Mom to Megan Adams, Gigi to Zoe Adams (granddaughter).